Thanks to Europe’s financial and economic crisis, you’ll find some of the best real estate values in the best parts of Europe right now—and some of the best opportunities to profit. Specifically, the deals are to be found in Ireland, Portugal, and Spain. These places were hit hard by the crisis—and pricings finally reflect that. If you go shopping with $100,000 today, you could buy a pretty home in some of the most picturesque locales of Ireland, Portugal, and Spain. The Ring of Kerry, in Ireland’s southwest, is the most scenic drive I know. 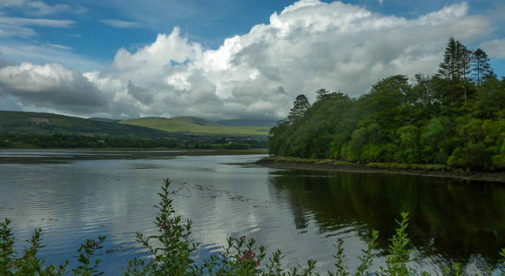 It takes you through more than a hundred miles of countryside in County Kerry, along her peninsulas, calm bays, sandy beaches, and wild Atlantic shores. Starting at the base of MacGillycuddy’s Reeks (a mountain range with Ireland’s highest mountain) in Killarney, your route brings you around the Iveragh Peninsula, through two of Ireland’s prettiest towns—Kenmare and Sneem—and to the long sandy beaches and beautiful Atlantic at Waterville. Or you could take in a lunch of oysters and Guinness in a gourmet stop like Kenmare…then spend an afternoon pottering around the home of Daniel O’Connell (an Irish patriot), or take a long walk on the beaches and rocky headlands of Derrynane. And here, far west on Kerry’s peninsulas, you can stroll on the first tee at 7 p.m. during the summer months and still play a full round of golf. It won’t get dark for another three or four hours. The warm summer evenings feel endless. This is also a great place for walking and biking. The more I travel overseas, the more special this part of the world is to me. It’s a great location for a second home. Five years ago a budget of $500,000 didn’t get you far here. Today, the vacation and second home market is particularly distressed. Makes sense, right? If you are under financial pressure, the first thing to go will be your vacation home. And there’s a lack of buyers. So today, on the Ring of Kerry, a budget of $100,000 puts you in the game: for a country cottage—renovated or dilapidated and waiting to be restored…for a newly built home in a little town filled with flower baskets and brightly painted cottages…or for a building plot with views of the Atlantic or tranquil bays. Portugal’s Algarve stretches along 96 miles off her southernmost coasts…then continues north, past the most western point of Cape St. Vincent, for another 31 miles. This area is Portugal’s most popular strip of coastland and for good reason: it’s a really nice place to visit and spend time. That’s why it attracts 5 to 7 million tourists a year. That’s pretty heavy hitting for an area with a population of one tenth of that. And, for such a small area, it’s surprisingly diverse. You have wide, flat beaches…high, limestone cliffs, sea caves, and secluded sandy coves…charming fishing villages and mass market tourism. You have excellent golf here among its 30 courses. You won’t pay a lot for entertainment, amenities, or food here: Portugal’s cost of living is the lowest in Europe. 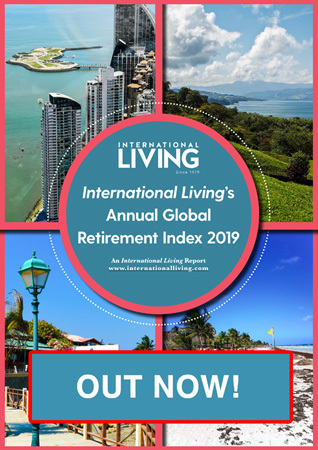 Though here in the Algarve, costs of living are higher than other parts of Portugal, it is still extremely inexpensive to enjoy this stretch of coast when compared to other popular beach destinations in Europe. Today you can buy a nice two-bed condo in one of the towns along the Algarve from $100,000. Or, you could buy a rundown farmhouse in the countryside but still close to these towns and beaches from $80,000. But, you need to know how to buy like a local. The best deals in Spain are bank fire sales. Early attempts at a raft of bank fire sales failed. They just couldn’t attract the buyers. That’s why fire-sale properties now have to be priced at “no brainer” levels to succeed. Just like an opportunity on the Costa del Sol I recently discovered near La Duquesa: High-end, new construction, two-bedroom, two-bathroom condos from less than $100,000 are available thanks to Spain’s crisis. Another opportunity I recently discovered would have set you back more than $100,000 but, given the luxurious setting, it’s still a steal. The luxurious Puerto Banús sits on the eastern fringes of Marbella. This is where you find the jet set: A mooring for your super yacht will set you back seven figures here. Buy one of those moorings and you get to drive your supercar through the port area. Homes in this area list and sell for well into eight figures. I saw one home that rents for $60,000 per week. Gucci, Chanel, and Rolex have all set up shop here. There are also plenty of excellent and reasonably priced port-fronting cafés and restaurants. This is one of those international places that do well no matter what’s happening in that country or the rest of the world. A six-minute drive inland brings you into the luxurious golf valley and towards Nueva Andalucia. Here it’s quieter. Residential streets are lined with swaying palm trees. There are neighborhood cafés and restaurants for al fresco dining on every corner. Luxury villas and condo communities are what’s built here. Unlike in other parts of Spain, you won’t see any abandoned construction projects. This is as blue chip as it gets. Here, on a tree-lined street, you’ll find the community I’m talking about. In this community, high-end condos were built around verdant gardens and pool areas. The community has a village look and feel. At first glance you’ll think its condos are village townhomes. But, each building is divided into a first-floor and penthouse condos, each with its own entrance. Phases one and two of this community sold out fast. Then, the developer started construction on phase three. He planned to sell competed units; he didn’t want to sell pre-construction. The market was so hot he wanted to lock in any preconstruction gains for himself. Construction was completed in 2008. As Spain and the world spiraled into crisis, there were no buyers at the €475,000 asking price (which included a car-parking space) for these condos. So the developer failed…and then his bankers took over. Two years ago they attempted a fire sale. The opportunity that crossed my desk, with condos starting at $289,000 didn’t cut the mustard. I though prices had further to fall. They did. Finally, the worn-out bank, keen to get condos that had been sitting there for close on six years off their books, did a deal with an investor. He bought them out and is planning a quick flip of these 45 condos with prices from $177,640. This opportunity could be quite profitable. The rental market here is very strong and getting stronger. These condos would rent for around $1,200 a month long-term…or $1,000 per week short term. There are plenty of long- and short-term renters. Your long-term renter might be a Ferrari salesman, a hotel worker, or someone who works in the private banks three minute away. A short term renter would be a vacationer. Editor’s Note: Ronan McMahon appears here courtesy of Pathfinder International, IL’s preferred real estate advertiser.